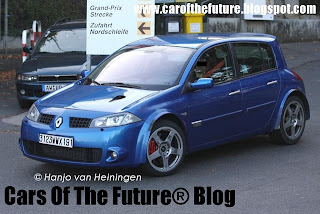 Motor Mania Buzz: 2010 Renault SportMegane? 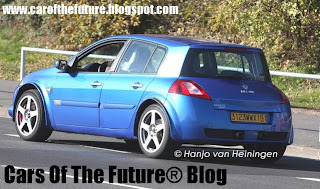 There have been rumors that this blue prototype of a Renault SportMegane is a mule for the next Megane which is due in 2009. The mules have been caught undergoing high speed testing at the Nurburgring racetrack. One picture showed the car with a 4 wheels off the ground which could indicate a new, more powerful engine. Staying with my suspicion of a new engine, check out a random air intake on the bonnet and wider, lower front radiator grille. 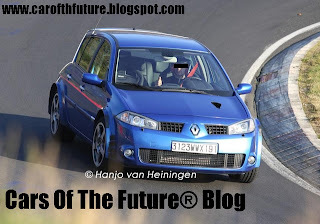 A few months ago, new pictures of a C-Segment Renault surfaced on the Internet showing what looks like the next Megane undisguised. The picture were taken from a French magazine. 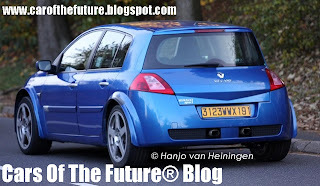 The Megane had a slightly toned bootlid which strongly resembled the Egnus SUV. The rear lights flowed with the strong shoulderline. The front resembled the recently launched Laguna III. The Renault badge dominated the bonnet while a large radiator grille over-took the lower front end. 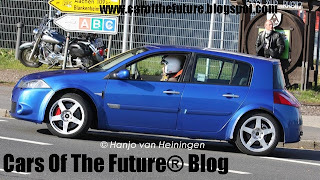 Overall the new Megane looked curvier, stylish and eye-catching.